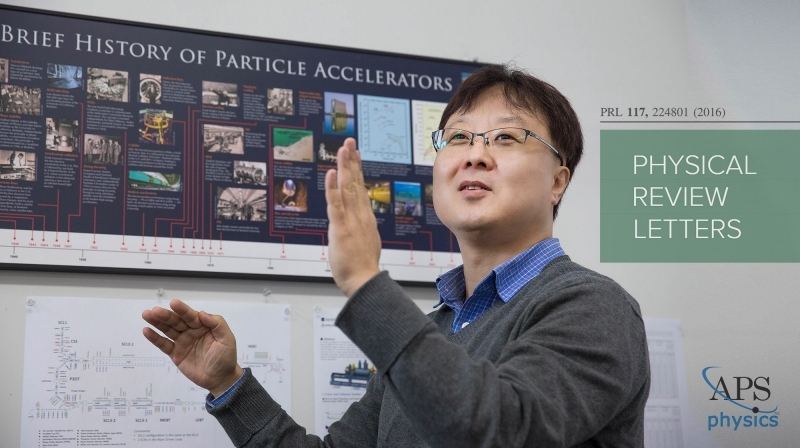 A research team, affiliated with UNIST demonstrates a new technique for accelerating electrons to very high energies over short distances. This breakthrough has been introduced in Nature on August 29, 2018. The Large Hadron Collider (LHC) at the European Organization for Nuclear Research (CERN)—operators of the world’s largest particle physics lab—near Geneva, Switzerland, is said to be the largest particle accelerator in the world. The accelerator lies in a tunnel 27 kilometers in circumference, as deep as 175 meters beneath the French-Swiss border. This, by the way, has helped scientists uncover the Higgs boson, the last particle predicted by the Standard Model in 2012. Schemic image, showing the layout of the AWAKE experiment. Typically, particle physics experiments use oscillating electric fields, called radiofrequency cavities, and high-powered magnets to accelerate particles to high energies. But these experiments must grow quite large—they have to be, in order to accelerate particles with enough energy to properly study them. 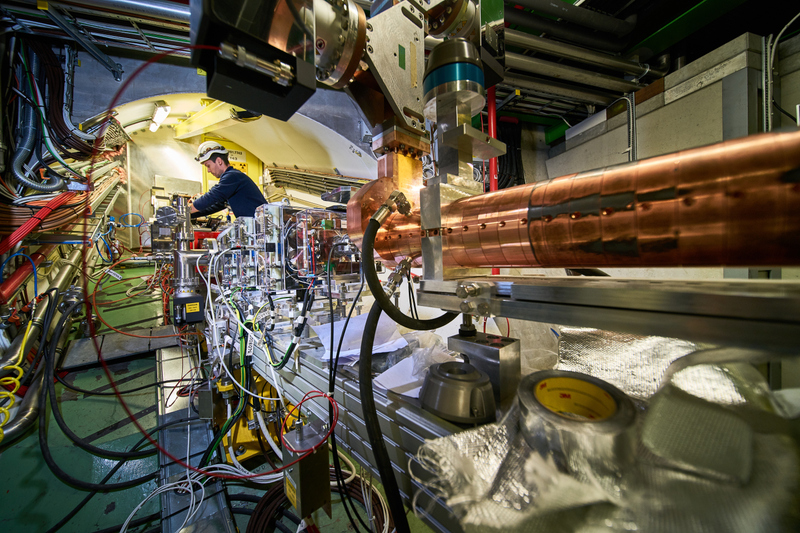 by a series of proton microbunches, were sampled with a bunch of electrons. 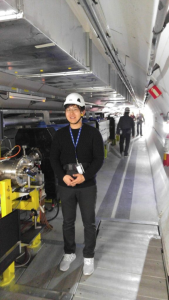 These electrons were accelerated up to 2 GeV in approximately 10 m of plasma and measured using a magnetic spectrometer. This technique has the potential to accelerate electrons to the TeV scale in a single accelerating stage. Although still in the early stages of itsIn the study, proton-driven plasma wakefield acceleration has been demonstrated for the first time. The strong electric fields, generated by a series of proton microbunches, were sampled with a bunch of electrons. 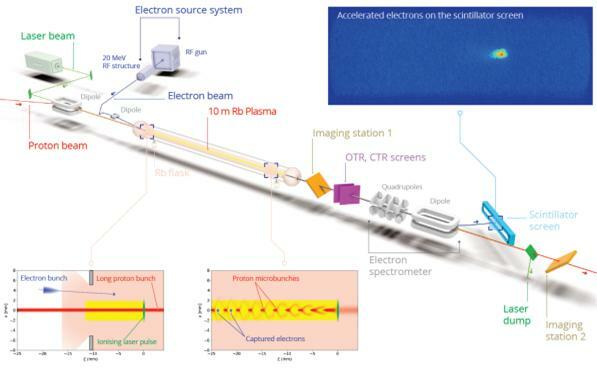 These electrons were accelerated up to 2 GeV in approximately 10 m of plasma and measured using a magnetic spectrometer. This technique has the potential to accelerate electrons to the TeV scale in a single accelerating stage. 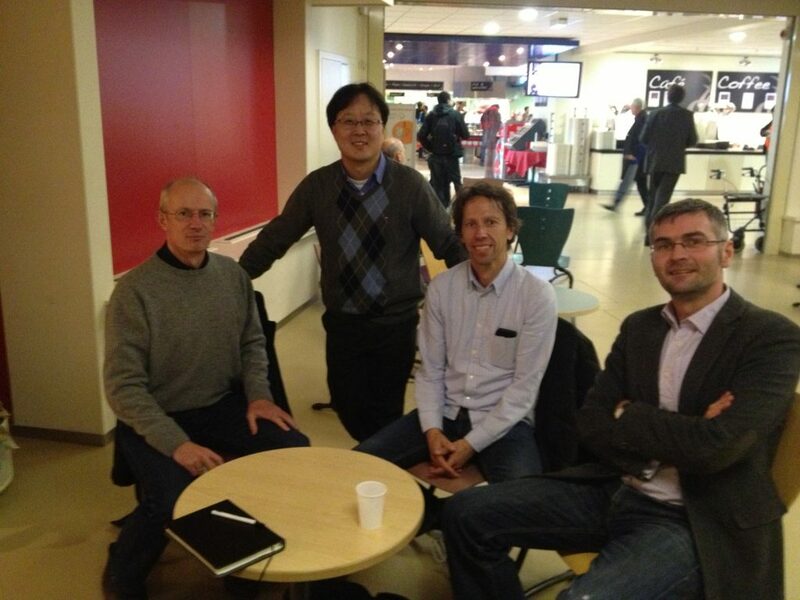 programme, the AWAKE collaboration has taken an important step on the way to realising new high energy particle physics experiments. 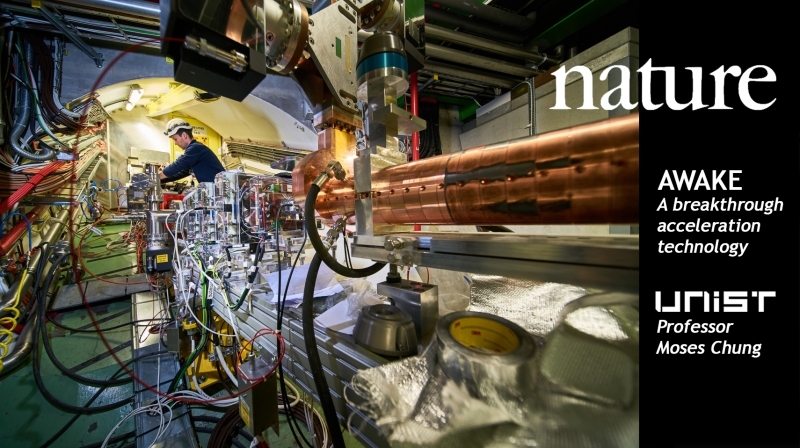 E. Adli, et al., “Acceleration of electrons in the plasma wakefield of a proton bunch,” Nature, (2018).